LogMeIn is a public company that provides software as a service-based remote connectivity, collaboration, and support solution to businesses and consumers. 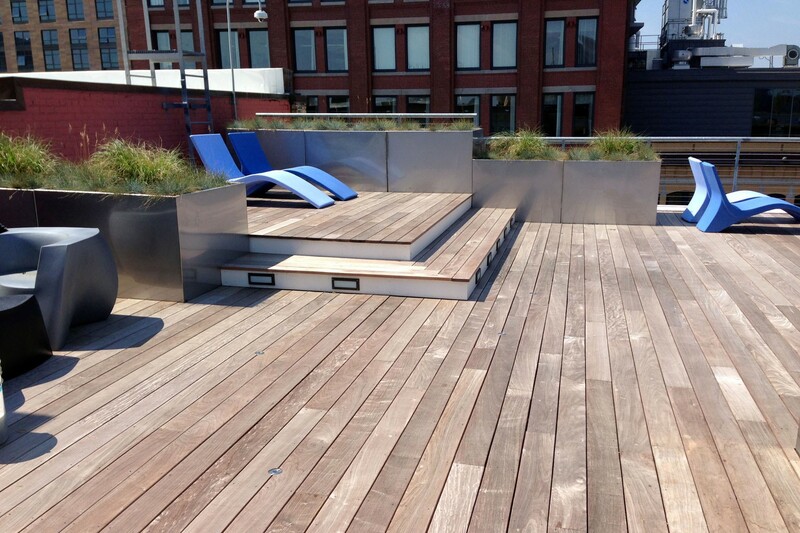 CRJA-IBI Group recently collaborated with the project architects on the design of a garden terrace that is located atop the LogMeIn building headquarters in Boston’s Fort Point Channel neighborhood. 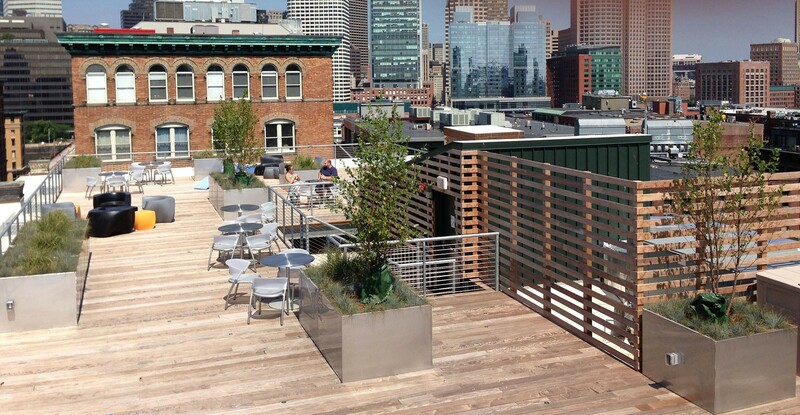 The terrace creates an inviting outdoor gathering space for LogMeIn employees. 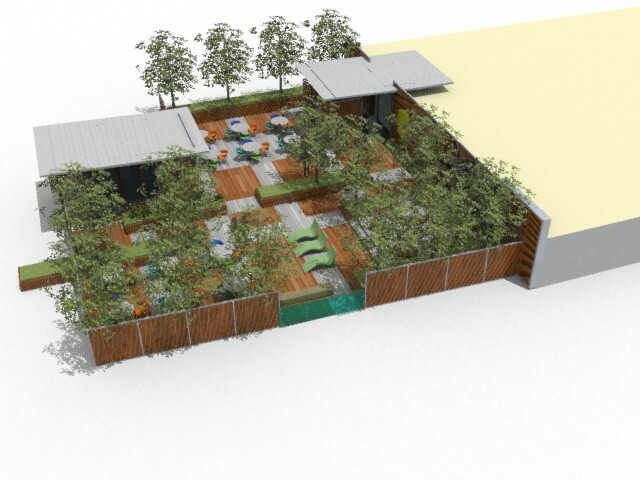 The terrace has been designed to reflect the high tech attitude of the company through the use of wood and metal. The planters and cabled railings are stainless steel. Wood is used in the decking and in screens to frame views to the city skyline and harbor.